This three wheeled Twist and Roll scooter brings you the newest in scooter technology! No need to turn the handlebars, just lean on the scooter footplate in the direction you want to go and the scooter will turn with you. 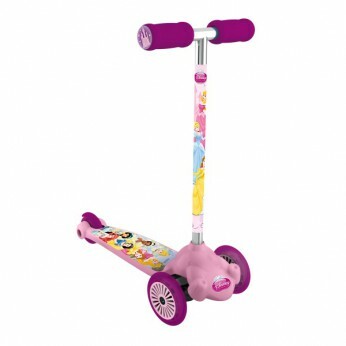 This toy costs approximately £19.99 (for the latest and best prices make sure you check our retailer list for the Disney Princess Twist and Roll above). In our review of Disney Princess Twist and Roll we classed it as being suitable for ages 3 years, 4 years, 5 years but recommend you check the manufacturer specific advice before purchasing.